New Delhi(PTI): RJD chief Lalu Prasad Yadav today said he would meet Bihar Chief Minister and JD(U) leader Nitish Kumar in a bid to make him change his mind about supporting NDA’s presidential candidate Ram Nath Kovind. 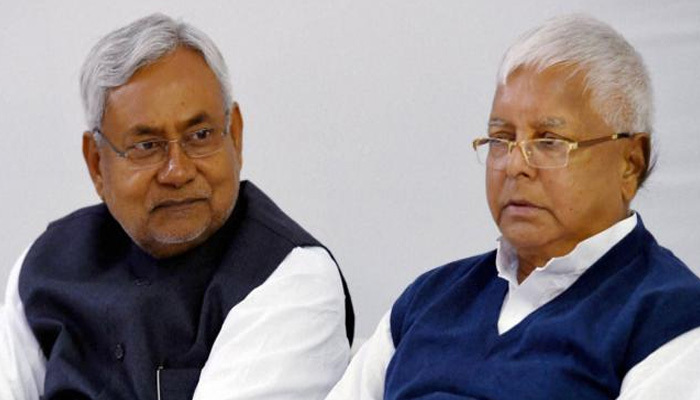 There was no threat to the coalition government in Bihar, Lalu Yadav said, referring to his party’s alliance with Nitish Kumar’s JD(U) in the state. “I will meet Nitish Kumar and will continue to urge him to change his decision of supporting the NDA candidate,” he told reporters after attending the opposition meeting that picked former speaker Meira Kumar as its candidate for president. The JD(U)’s surprise decision to back Kovind had led to cracks in the opposition camp as its chief Nitish Kumar was the one who had initiated the process for a joint opposition strategy on the issue. The opposition’s move to field Kumar makes it a Dalit vs Dalit presidential poll. is all set to miss the World Gymnastics Championships as she is recovering from a knee surgery.